There can't be many of us who haven't seen what was a rather inspired advert to help KFC try and repair some of the brand damage caused by the world's most famous chicken shop running out of chicken. A clever PR person or ad agency made the right decision in taking the honest approach - refreshing in the fake news era - and calling the situation out for what it was; an absolute disaster. How well KFC head office had prepared for dealing with these dystopian business scenarios, we don't know, but if there are any positives to come from this, it was a good finger on the pulse of how loyal their customers are to their brand. So great was the furore of consumers having to go without fried chicken, that Tower Hamlets police had to issue a tweet reminding citizens that this was not considered to be an emergency. Yes, really. 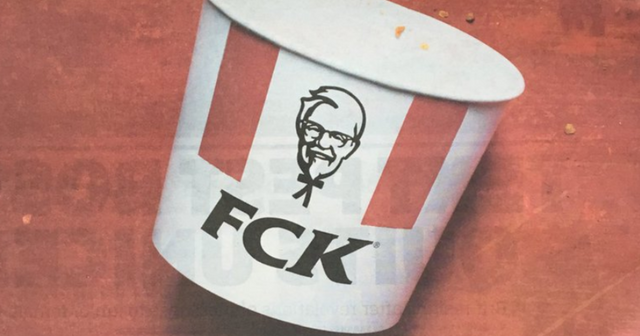 I'm not a Metro reader, but seeing this ad over a fellow commuter's shoulder did make me giggle, and although as a vegetarian, I haven't personally set foot in a KFC since I was a student, it goes some way to make consumers feel better about their bad experience when companies forget the spin, stop making excuses and just own up to a monumental mistake. For advice on how to get your messaging right in the event of a disaster, email rakhee@tigrismanagement.com.